ONE OF THE biggest problems of Dry January is this: what to order when you inevitably find yourself in the pub? Water is too boring. Coke is too monotonous. High-level virgin cocktails are unbelievably expensive. So here are 8 simple, effective alternatives to try, made using ingredients that should be available in at least some bars and pubs. Lime and soda has been the teetotaller’s pub drink for years. This fresh twist on the formula – recipe here - updates the formula using only ingredients that any bar which can make a mojito will have on hand. Half Sprite, half orange juice, with ice. Tastes like everybody’s French favourite, but IN THE PUB. Looks like an alcoholic drink, tastes classy, 100% booze-free. No, NOT the non-alcoholic Becks or Bavaria that’s been hanging around the pub fridge since 1978. A growing number of bars in Ireland are stocking alternatives. Try Nanny State, Brewdog’s low-alcohol effort (it’s 0.5% so you’d have to drink vats of the stuff to have any effect) or one of the other German beers – Weihenstephaner and Franziskaner both do decent ones, and Erdinger is alright too. Try Fever Tree or Fentiman’s. They taste interesting, are refreshing, and feel kinda sophisticated. Hell, you can even add cucumber if you really want to push the boat out. 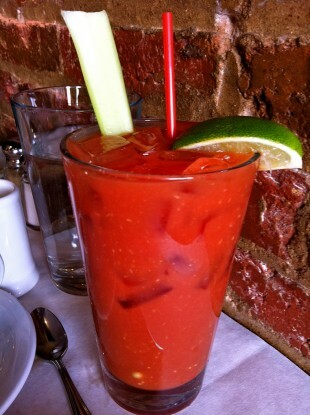 Bloody Mary, without the vodka. Especially good for those times when a lunchtime drink seems like a good idea. You know how you drink margaritas with a salt rim? Well, half of south east Asia drinks lemonade with salt too. Add a salt rim and a wedge of lime to lemonade to (a) give it a strangely effective flavour boost and (b) force you to sip it like a grownup. Sound weird? Well yes, it is, kinda. But look - do you want to spend Dry January drinking water and counting the hours until February 1, or do you want to spend it trying new things? Email “8 delicious non-alcoholic pub drinks to get anyone through Dry January”. Feedback on “8 delicious non-alcoholic pub drinks to get anyone through Dry January”.